BlackEnterprise.com talked with Audrey Smaltz, CEO of The Ground Crew, on just what it takes to get a show running, and how up-and-comers can find success in a world where short moments can mean lifetime statements. Audrey Smaltz, CEO of The Ground Crew, gives her tips for success in the fashion industry. As Mercedes-Benz Fashion Week comes to an end in New York, designers are wrapping up the shows, with the last finishing touches being added to the day’s events. Most onlookers, whether attending the shows or watching them on their favorite networks, enjoy the final product, a show that may last minutes but took months to make a reality. 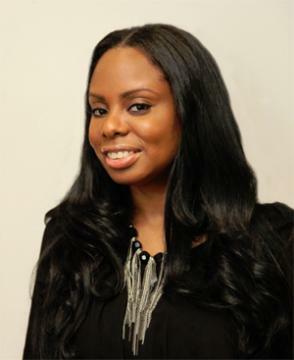 BlackEnterprise.com talked with Audrey Smaltz, CEO of The Ground Crew, a company that provided key backstage support for clients this year–including Donna Karan, Alexander Wang, and Rachel Roy–on just what it takes to get a show running, and how up-and-comers can find success in a world where short moments can mean lifetime statements. What exactly does it take to put on a successful fashion show for Fashion Week? So much is needed to coordinate and produce a fashion show. And some people forget little details. The show may not last but 12 minutes, but might take 1,200 minutes to put together. For every 10 models there’s about 25-40 people working on that model, from hair and makeup, tailors, runners, directors, designers, etc. For example, the coordinator works with the designer and models and coordinates the run of show. The coordinator also photographs the model and puts together the line up for the show. You could have one to 60 looks for a line. The tailors work with models to get the right clothing and fit. The fitters get the right shoes, clothing, and make sure they’re in the right places. We work with music and sound, all of that … just every aspect of the show, to be sure everything is perfect. After more than 30 years working behind-the-scenes, what inspires you to continue? I have a passion for it. Each day is different. Every day, I get out of bed and wonder what the day is going to bring. What’s one of the most important aspects of getting a show completed successfully? Always have contingency plans. Have a plan B or plan C. You have to have other things you can do. Be able to move with the flow. Be prepped for if something goes wrong or if something doesn’t work out. If you’re a fashion entrepreneur, you must have a solid business plan: A plan tells where your business is going and what it takes to get it done. Have a budget and know how your money is going to be spent. Have a cash flow. You can’t just open a business because you have a great idea and not have money. If you’re new to the industry, retail is a good jumping off point: Try for an internship at a company you really want to work with. Go to the Council of Fashion Designers of America website, look at the designers, and start with a smaller brand. E-mailing them a nice note of interest and your resume is a good idea. If you have a photo, that’s good too. Active and effective networking is important: Go to schools like the Fashion Institute of Technology (FIT) and see who’s lecturing, Smaltz advises. Visit a department store when a designer is there speaking or presenting. Get to where the fashion industry people are going to be. Be nice, cordial, and likable. Don’t be afraid to speak and volunteer in general to meet folk and network. Know what you offer to the world and what you expect out of it. What is your niche? Do an outstanding job and let people know what you’re looking for. Be professional and let them know your experience. Sometimes you have to assert your authority.